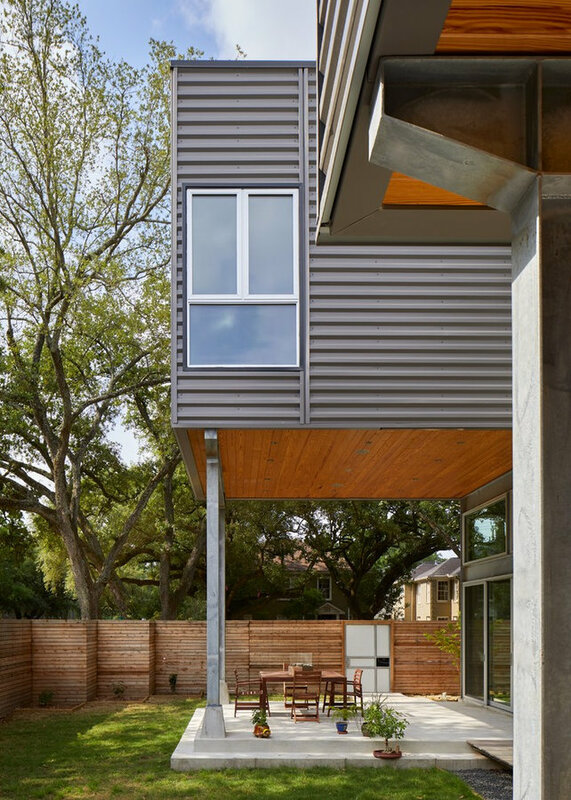 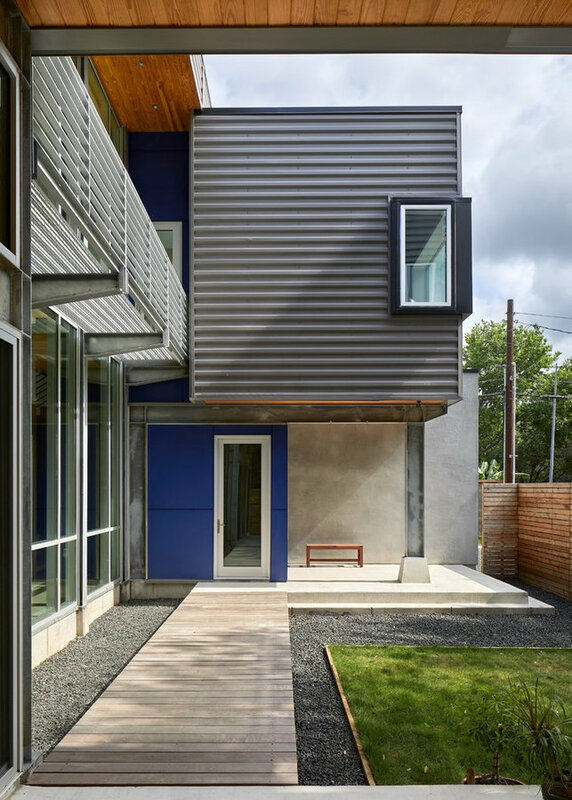 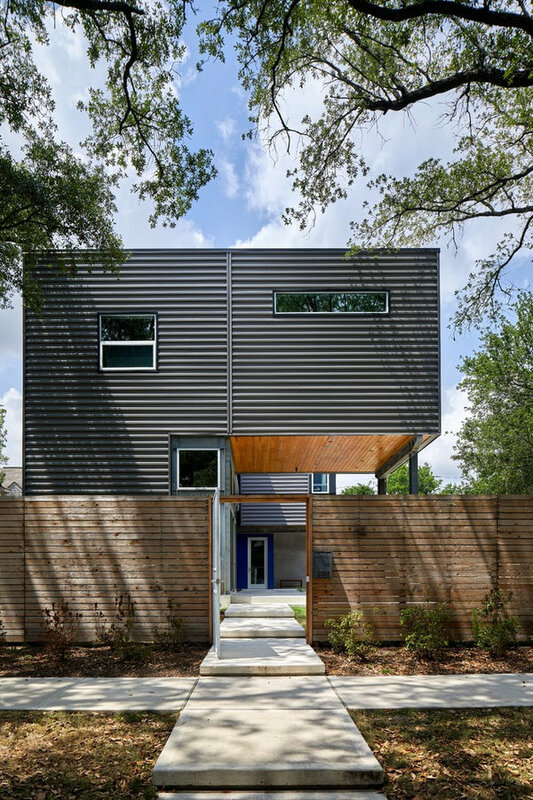 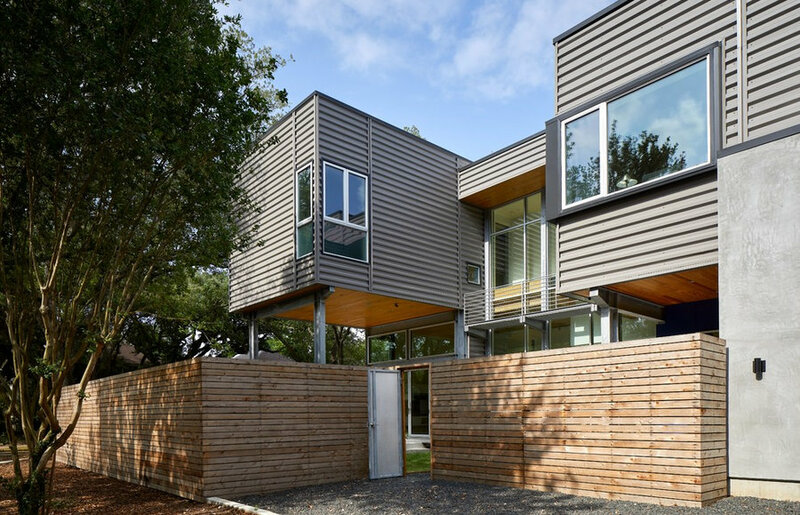 An inner city house, this project is located on the corner of a very high traffic main artery street at the periphery of the Texas Medical Center. 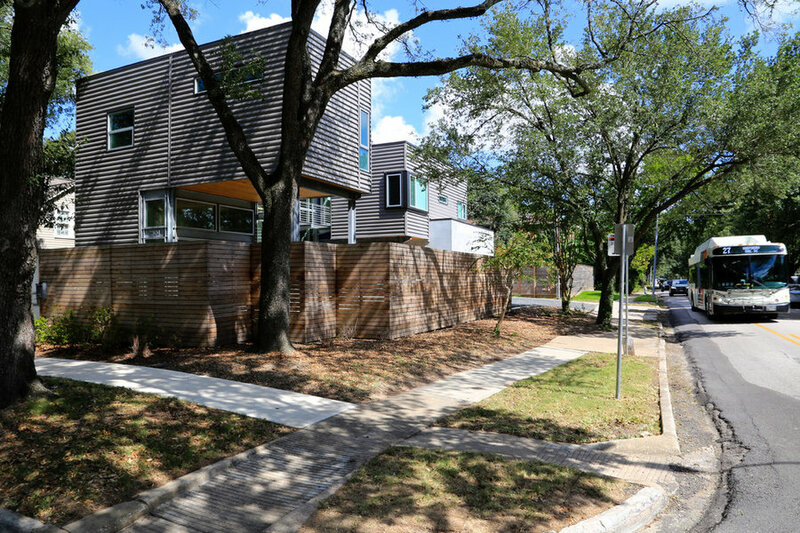 The building is developed as a Charleston style typology to provide a useable outdoor space abutting the street. 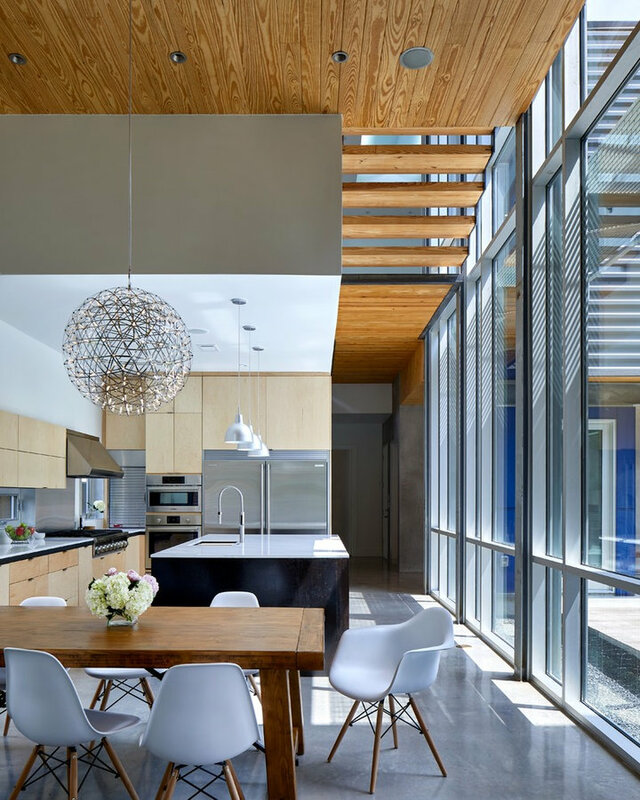 Designed primarily in section, the spaces move through varying scales with a dramatic focus on daylighting and movement. 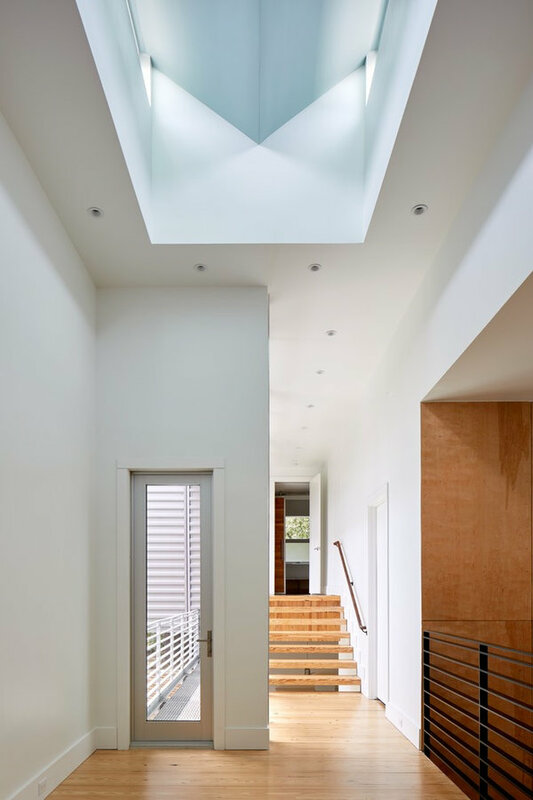 This home is essentially a giant light sculpture eschewing a combination of both Corbusian painterly design lyricism and the rational rigor of Alberti. 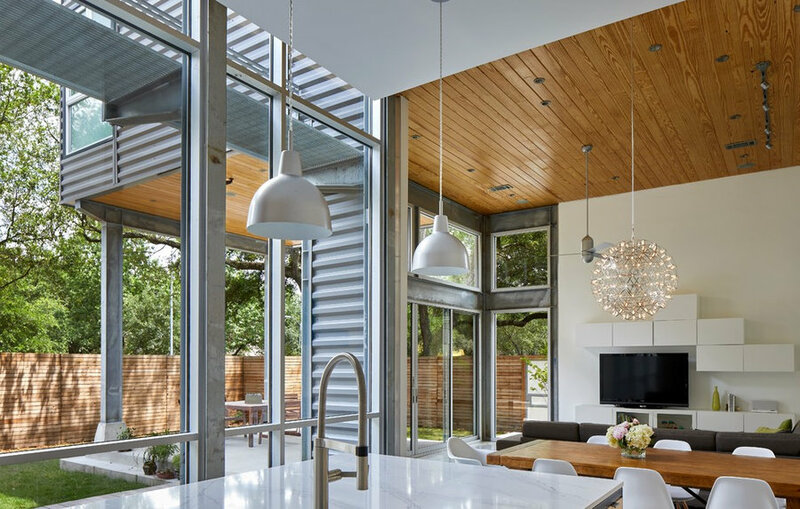 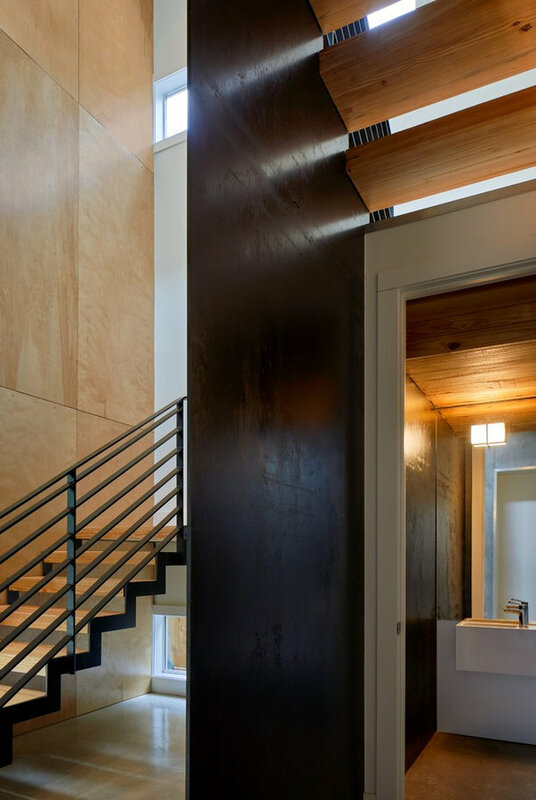 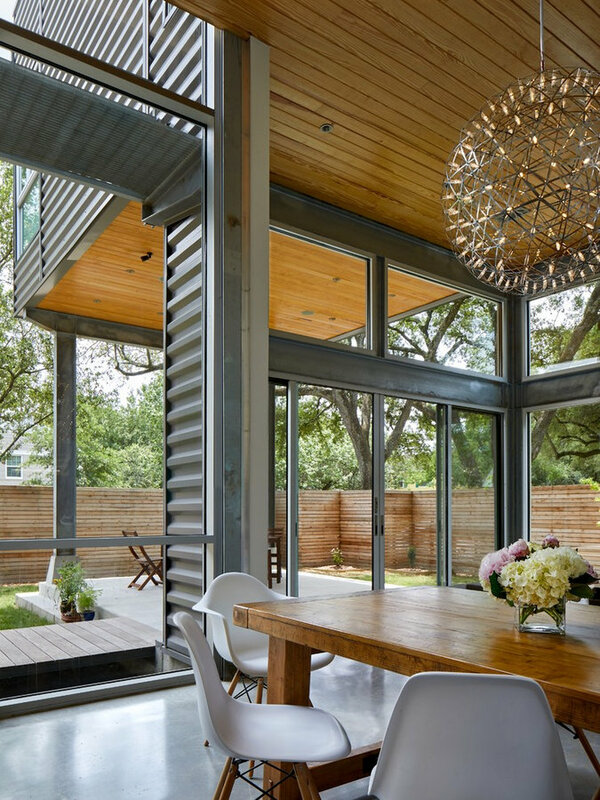 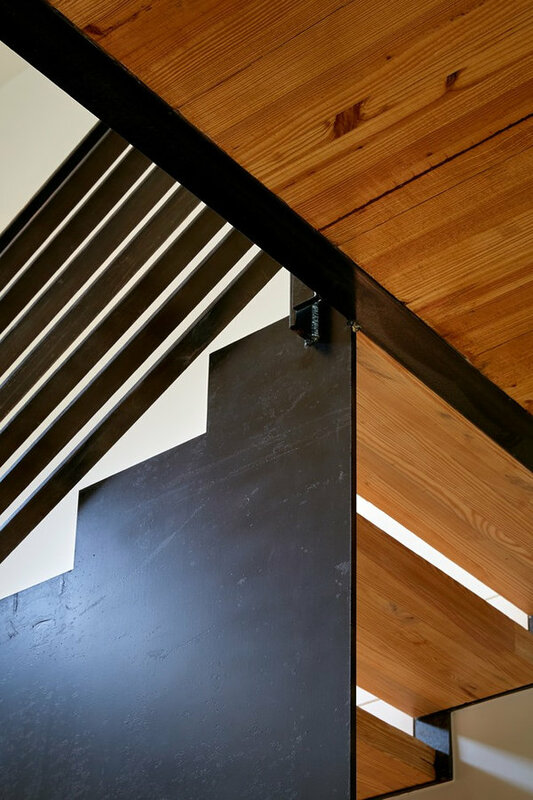 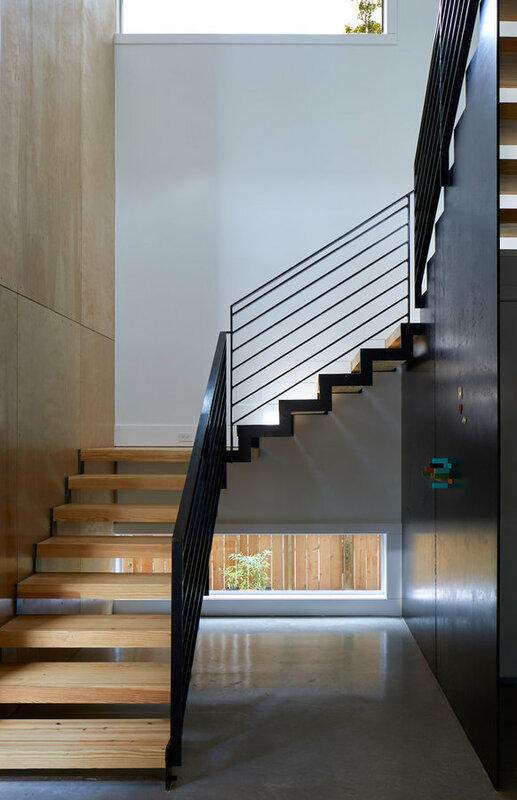 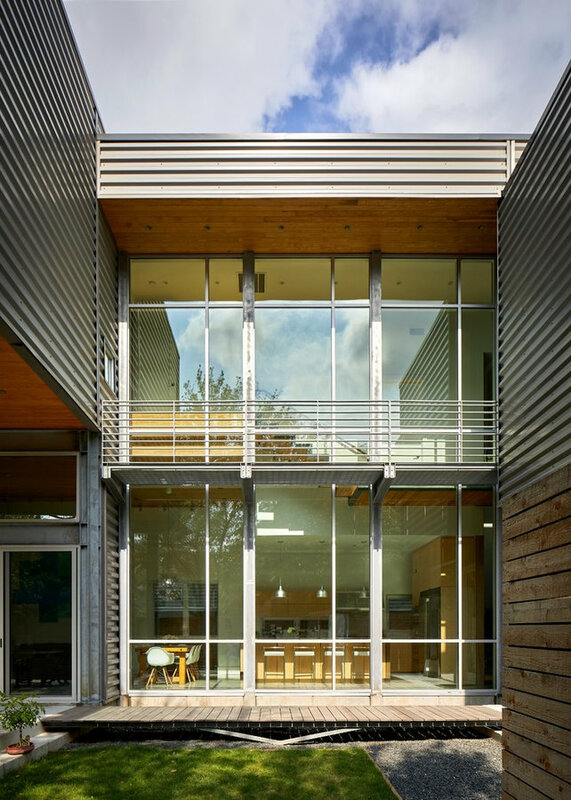 Straightforward, economical, and expressive materials are used throughout, from the raw steel plate staircase to the pine wood floors and ceilings. 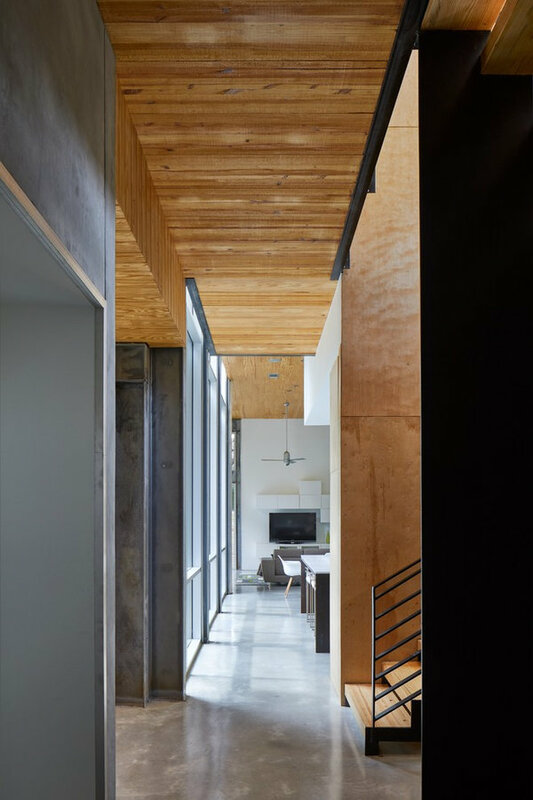 This is essentially a project about an enriched sense of daily living centered around closely integrated family spaces that promote interaction within a series of luminous, glowing spaces that change character and feel with the movement of the sun.